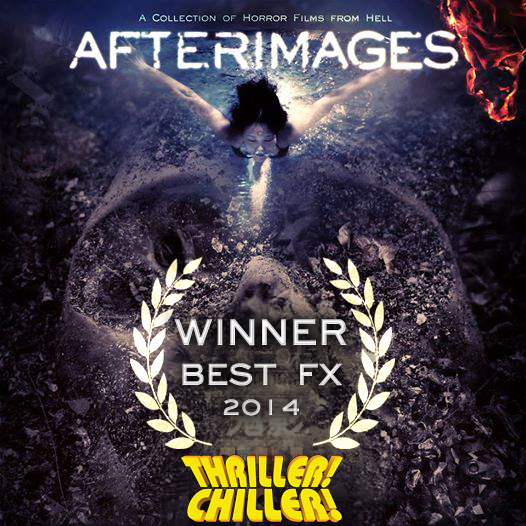 [LATEST] AFTERIMAGES Wins Best Feature Film Award! 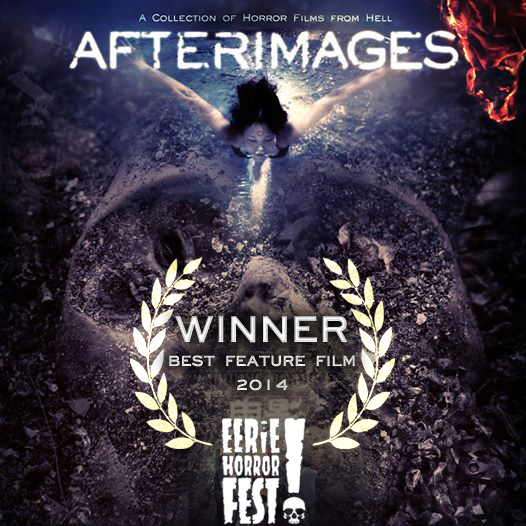 AFTERIMAGES won BEST FEATURE FILM at the recent Eerie Horror Film Festival in Pennsylvania, USA. And it also won BEST FX at the Thriller! Chiller! Film Festival in Michigan, USA. For the genre, this award is especially sweet as horror is the sum of its parts, particularly in special effects. The special effects in AFTERIMAGES was designed and supervised by director Tony Kern who was supported by great enthusiasm and talent from students of Ngee Ann Polytechnic and First Media Design School; their roles included post-fx, rotoscoping and compositing. Special effects make-up, prosthetics and masks were created by Luke Polti, whose credits include The Matrix Reloaded, The Chronicles of Narnia, Where the Wild Things Are. Since its debut in 2004, the Eerie Horror Film Festival has become one of the most popular and respected events of its kind in the world. Each year, the festival attracts thousands of fans, filmmakers and screenwriters to the city of Erie for a four-day celebration of independent cinema, featuring special celebrity guests, screenings and workshops. C. Thomas Howell (The Outsiders), Adrienne Barbeau (The Fog), Dee Wallace Stone (Cujo), Tony Todd (Candyman), Kane Hodder (Friday the 13th) and many others. Previous Post [Review] Are You Frozen Yet?